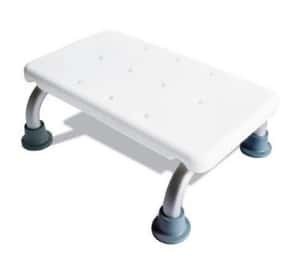 A bath step is a mobility aid step usually made of plastic or steel placed by the side of a bath. Bath steps are used to assist those that have limited movement when entering and leaving the bath. Bath steps usually feature non-slip mats or footing to ensure safety in a wet environment such as a bathroom, and some may feature additional support such as handrails. Although primarily used in the bathroom many of these steps are multipurpose so can also be moved to assist in entering cars, reaching shelves, and getting into bed. Who would use a bath step? Bath steps are perfect for people whose mobility is affected by age, injury, or disability, or those who are recovering from operations. Bath steps are designed to give individuals more independence by enabling them to safely enter and exit their bath on their own. Elderly people may enjoy the comfort and safety provided by the addition of a bath step to their bathroom as it can provide the support needed to allow them full autonomy and privacy when using the bathroom. Bath steps are the perfect addition to any home where the resident is affected by limited mobility. How much do bath steps typically cost? The cost of bath steps varies greatly depending on the material, special features, and design. 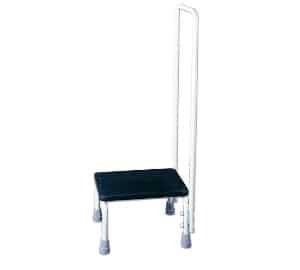 Basic non-adjustable plastic steps are an affordable option as they range from about seven to fifteen pounds. These basic steps are often stackable meaning multiple steps can be purchased and stacked securely together to create the perfect height required by the user. 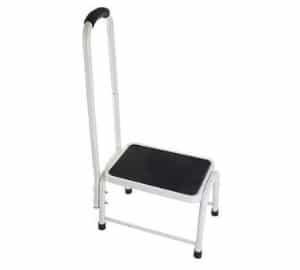 Small and sturdy metal framed steps and other adjustable height steps cost an average of £15 to £30. Robust steps featuring hand railings and grips for extra stability are often upwards of thirty pounds. Some steps are VAT relief eligible in the UK. What to look for when buying bath steps. A height that is suitable for the specific mobility of the user should be carefully considered when choosing a bath step. Stackable steps enable the user to adjust the height to fit them perfectly, whether it be stacking multiple steps or placing them in a stair formation for a gradual incline. 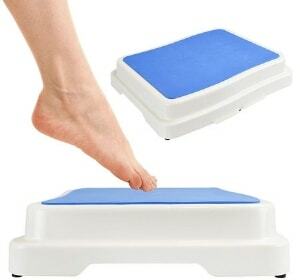 However, some users may prefer set height steps that can provide more stability and long-term durability. Maximum weight allowance and hand railings should also be considered for those above average weight or that need extra support and stability while entering the bath. Although most bath steps feature non-slip materials it is important to make sure these suit the user’s specific requirements. Here is a useful video that shows you how to use a Bath Step. This step has a sturdy frame giving it a maximum weight capacity of 150kg. Although robust and durable the step is lightweight and easily transported. A multifunctional step that can also be used in other rooms throughout the home. Made of durable powder coated tubular steel making it resistant to rust. Stackable so more than one can be securely placed together to give extra height. 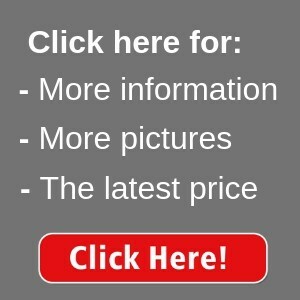 The low price of this step makes it an economical and affordable option. 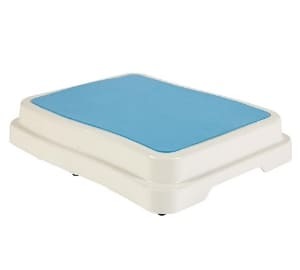 Features an adhesive top mat and rubber feet for slip resistance and safety. Made from weather resistant plastic that can support weights of up to 200kg. Features three sections that can be used independently, together, or stacked with a second set. Gives a versatile height range between 5-10cm or up to 20cm with an additional set. Eligible persons in the UK may claim VAT relief for this step. Made of a lightweight neutral colour material that is easy to clean and transport. This step features a handrail with a non-slip grip for extra support and safety. Made from strong and durable stainless steel with an attractive chrome finish. Can use used throughout the house, such as in the kitchen and bedroom. Requires assembly but can be disassembled and packed away when not in use. Provides an optimal height of 10cm/4 inches with the option of stacking additional units. Comes with four removable hole covers enabling additional steps to be locked on. Made of lightweight material so that it can be easily moved and stored. Has a padded and textured surface for slip resistance and comfort. This step features a handrail for extra support when entering or exiting the bath. Made of durable rubber coated tubular steel and features a slip-resistant rubber top. Eligible persons in the UK may claim VAT relief on this item. 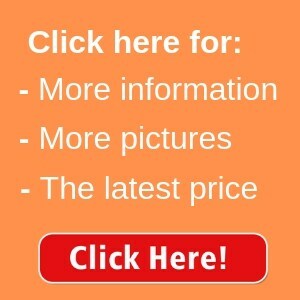 Extremely sturdy and made with the safety of the elderly and disabled in mind. Small in size, lightweight and portable making it ideal for those with limited space. Textured surface for slip resistance and slightly extended legs for strength and balance. The step has a mid-range height of 14cm/5.5 inches. 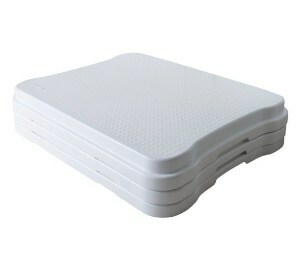 The step top is made of long-wearing durable hardened plastic. Features a fixed handrail with soft grip support for extra safety. Stable and sturdy while only weighing a manageable 2.67kg. Comes in two colours, black and white, to complement interior décor. 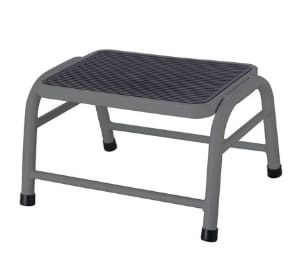 Made from durable steel and features a rubber step for added slip prevention. This product is eligible for VAT relief within the UK. 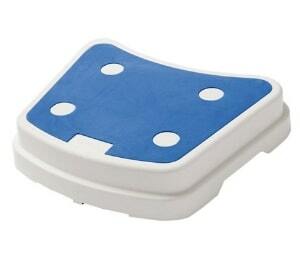 Has an adhesive rubber top mat and rubber footing for slip resistance. Had a height of 10cm/4 inches with the option to stack an additional step. 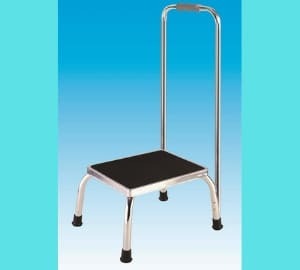 Features a large spacious platform to stand on for added stability.